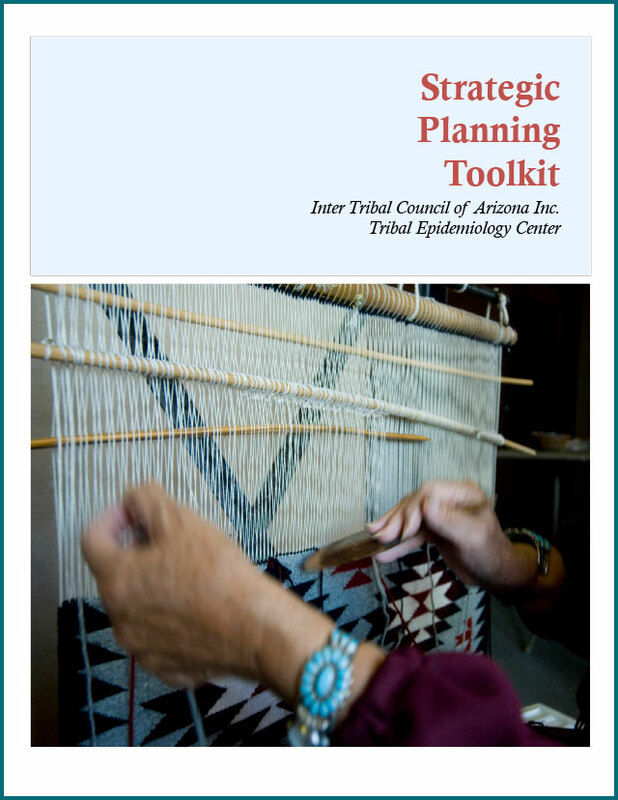 The Inter Tribal Council of Arizona, Inc., Tribal Epidemiology Center (ITCA TEC), in partnership with Blue Stone Strategy Group, LLC, first piloted the Strategic Planning Toolkit with the University of Arizona, Northern Arizona University, and the Partnership for Native American Cancer Prevention, funded in part by the Indian Health Service (IHS) Cooperative Agreement in 2016. This pilot project allowed for the feedback from Tribes and further development of the Toolkit and the hands-on working session. This session resulted in a Tribe receiving additional funding for local cancer programming. 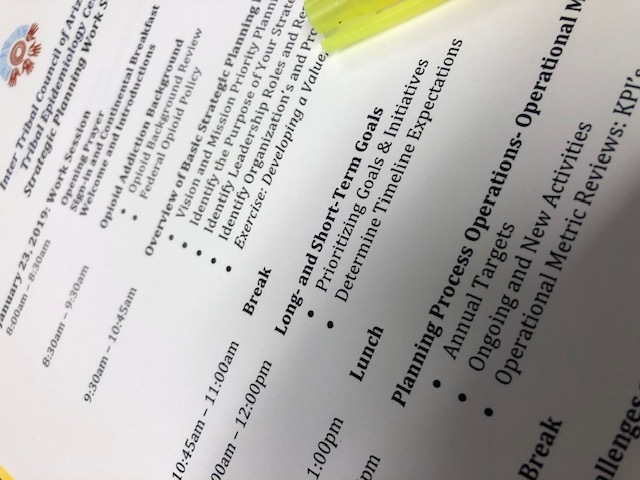 A Strategic Planning workshop was available to all Tribes in the IHS Phoenix-Tucson Service Area in 2018 under the IHS Cooperative Agreement as well. 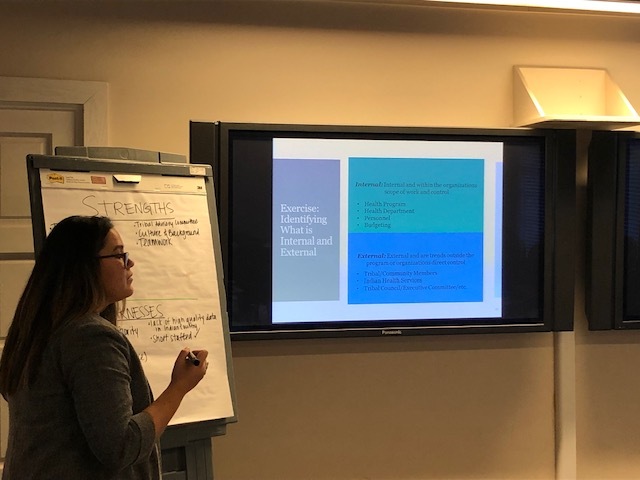 Under the Tribal Epidemiology Centers, Building Tribal Public Health Infrastructure program, ITCA TEC and Blue Stone Strategy Group were able to again assist 8 Tribes with designing program specific Strategic plans and specialized training and technical assistance (T/TA) in 2018. As part of the Opioid Supplemental funding under TECPHI and the IHS Cooperative Agreement in 2019, most recently the ITCA TEC and Blue Stone were able to partner again with Arizona Department of Health Services, the State of Arizona Department of Emergency and Military Affairs, and four Tribes to assist Tribal programs with the tools to development local program plans to combat the opioid epidemic in their communities. 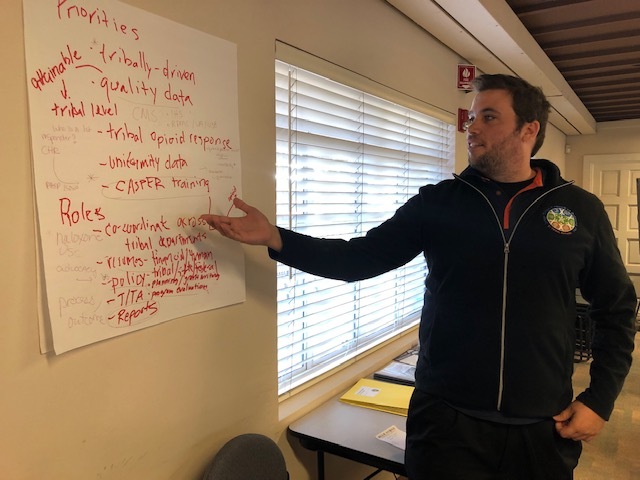 This programming can assist Tribes with the development of program plans to work towards additional funding for enhanced programming, and improve program evaluation tools and measures, which can achieve the goal of strengthening health and wellness of American Indians.